Tajikistan’s Minister of Defence, Lieutenant General Sherali Mirzo and Ambassador Tuula Yrjölä, Head of the OSCE Programme Office in Dushanbe, inked an agreement to establish a Regional Explosive Hazards Training Centre in Dushanbe Nov.9, the OSCE reported. The establishment of the Centre is foreseen under the Memorandum of Understanding on the OSCE extra-budgetary project “Integrated Co-operation on Explosive Hazards Programme”, which was signed on November 9. The project is part of the OSCE’s efforts in developing a co-operative mechanism among Central Asian states to address concerns and challenges stemming from the disposal of explosive hazards. “The Memorandum of Understanding consolidates the partnership and co-operation efforts of the Ministry of Defence and the OSCE to establish the Regional Explosive Hazards Training Centre of the Ministry of Defence,” said Lieutenant General Mirzo. He also noted that the Ministry has a well-established reputation in providing explosive ordnance disposal and related trainings in the region. 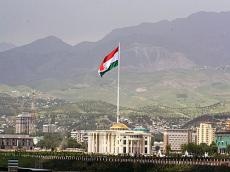 Ambassador Yrjölä, in turn, said the OSCE has been a steady supporter of the Government of Tajikistan, in particular the Ministry of Defence, in developing its operational, but also training capacities in Mine Action, in line with international standards and best practices. Sine its launch in mid-2013, this OSCE extra-budgetary project has so far provided training opportunities to more than 170 national trainers and experts in explosive ordnance disposal (EOD). The courses focused on improvised explosive devices, the demilitarization of explosive ordnance, explosive hazards risk awareness, and response and medical support to EOD operations. The project has also provided a practical platform to facilitate the exchange of experience and best practices at a regional level, as part of the OSCE confidence- and security-building measures.